Combine all vitamin essentials easily in this kit. 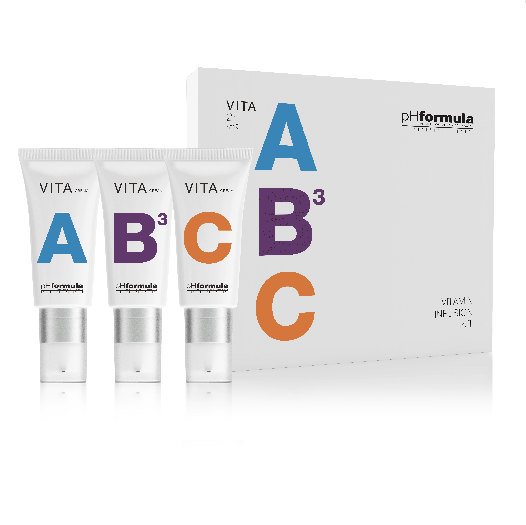 Perfect for travelling, the kits contain three travel sized vitamin creams, A, B, and C.
Vitamin B3 is essential to prevent and reverse visible signs of redness, pigment changes and skin ageing. Retinol in Vitamin A stimulates cell regeneration to diminish the appearance of fine lines, wrinkles, and age spots from both photo- and intrinsic ageing. Vitamin C is essential to prevent and reverse visible signs of skin ageing and pigment changes.